Mike Young was celebrating his wife Calliope's 33rd birthday. 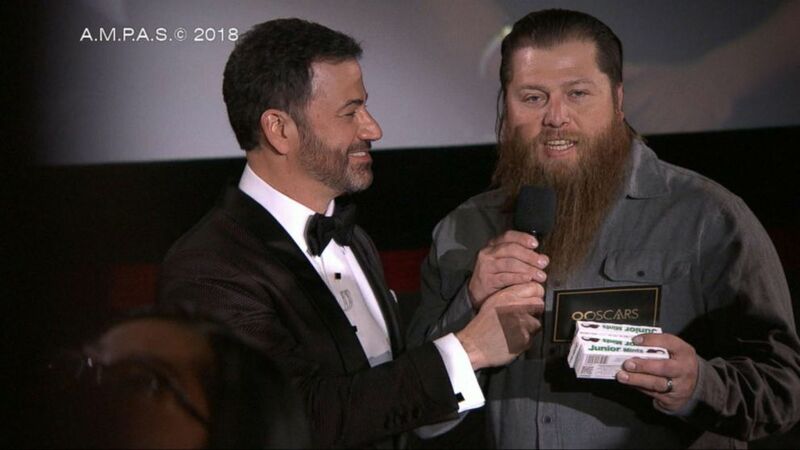 When Oscars host and late night funnyman Jimmy Kimmel surprised a nearby theater of moviegoers in the middle of the Academy Awards, along with his sidekick Guillermo and a group of A-list celebrities, he enlisted one lucky audience member to announce the next award presenters. 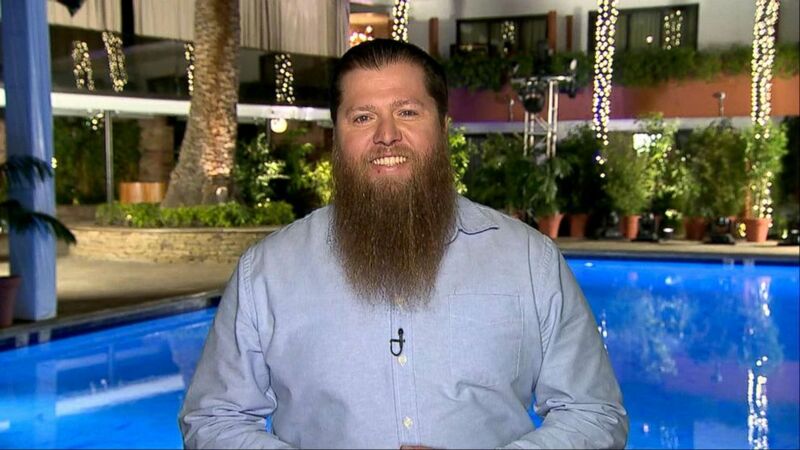 The second-time Oscars host hand-picked Mike Young, a 35-year-old electrician with an impressive beard, from the crowd and gave him a microphone to introduce presenters Tiffany Haddish and Maya Rudolph. (AMPAS) Mike Young was surprised by Oscars host Jimmy Kimmel on March 4, 2018. "It was amazing," Young told "Good Morning America." "I was like, 'It's actually happening, I'm on the Oscars.'" Even though Young stumbled pronouncing Haddish's name, he said he shook off his nerves and got through it. "I was nervous," Young added. "I got to Tiffany's name and I apologize on badgering your name, but I got it right the second time." (ABC News) Mike Young talks to "Good Morning America," March 5, 2018, about being surprised by Oscars host Jimmy Kimmel and other big Hollywood stars during a screening of "A Wrinkle in Time." Kimmel, alongside Gal Gadot, Lupita Nyong'o, Mark Hamill, Margot Robbie, Emily Blunt and others, interrupted a screening of "A Wrinkle in Time" at the TCL Chinese Theatres down the street from the Dolby Theater and thanked the fans for making the Academy Awards possible. Young, who is a father of two girls, Ruby, 1, and Greyson, 5, said he had a chance to speak to Kimmel briefly and the two found out they had something in common. "[I] let him know I was celebrating my wife's [Calliope Young] birthday and he said that it was his wife's [Molly McNearney] birthday, as well," Young said. "It was pretty cool to actually talk to Jimmy Kimmel." 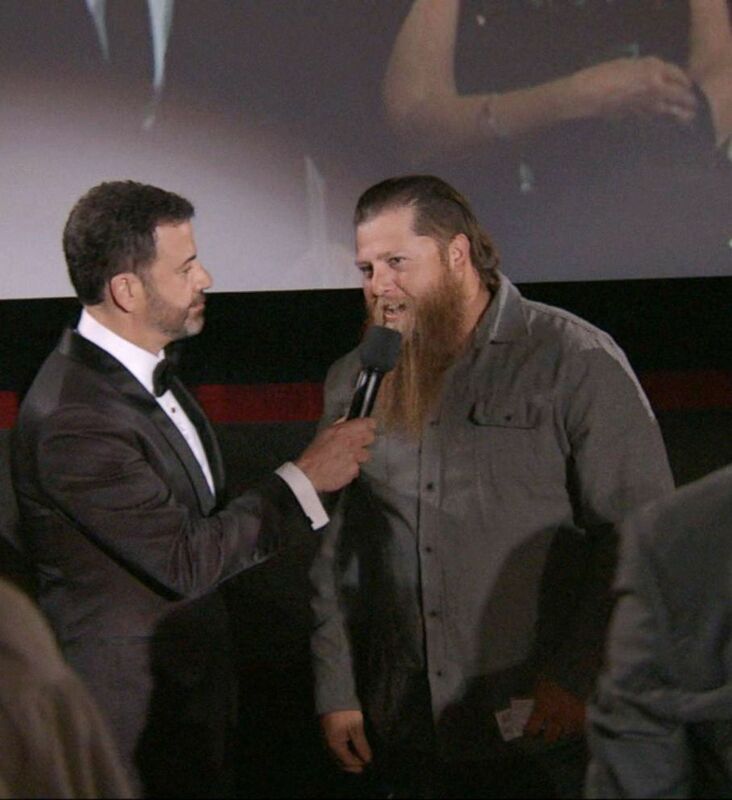 Kimmel also told Young his beard "smelled delicious." Young's wife turned 33 today and told ABC News she is "excited" about her husband's big moment. The Lake Elsinore, California, native gave a shoutout to his hometown during his five seconds of fame, igniting some community pride on Twitter. You GO, Mike Young!! The first person from LAKE ELSINORE ever to be on the #Oscars! Okay Mike Young from Lake Elsinore!!! Repping the hometown! His friends were quick to ask for all the details. Young said they asked, "'What's going on, you're on the Oscars? How'd you get there?'" "I was going for a taping and then next thing I know, I'm on the Oscars. It was incredible," Young said. "I could barely watch the end of the movie."